With the return of the Disneyland Railroad has come the reopening of Primeval World, that dramatic, life-like diorama of life back in the age of the dinosaurs. 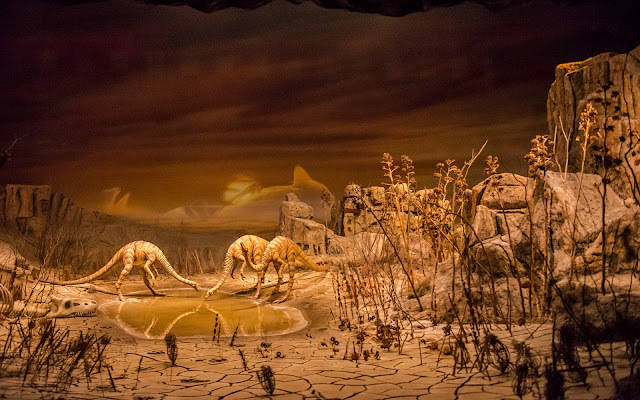 Primeval World has become synonymous with the Disneyland Railroad, but it wasn't always with this attraction. 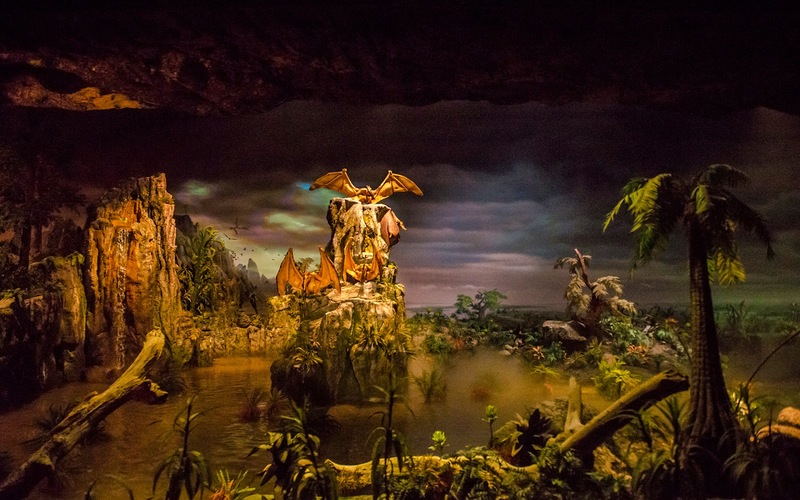 In fact, it wasn't added until 1966, incorporating animatronics and figures from the 1964 New York World's Fair. But since then, it has provided an exciting leg of the Disneyland Railroad between Tomorrowland and Main Street stations, and it's great to have it back! 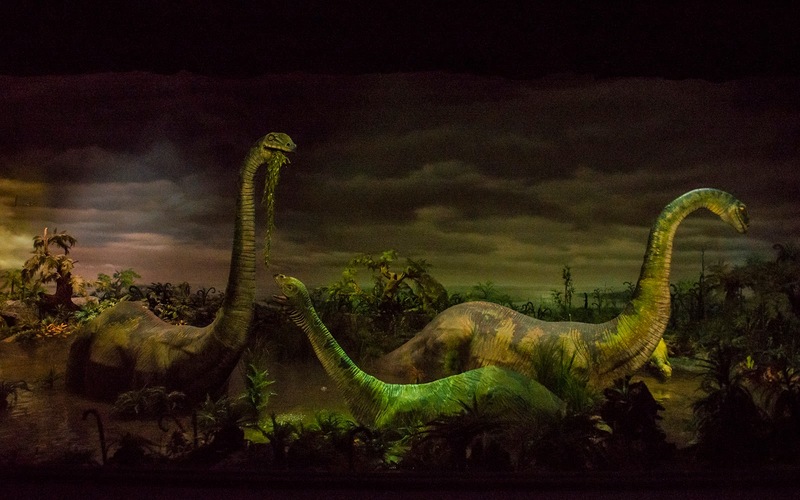 Brachiosaurs bathe and munch on plants in Primeval World. Pteradons perch around a rock, keeping eyes around. 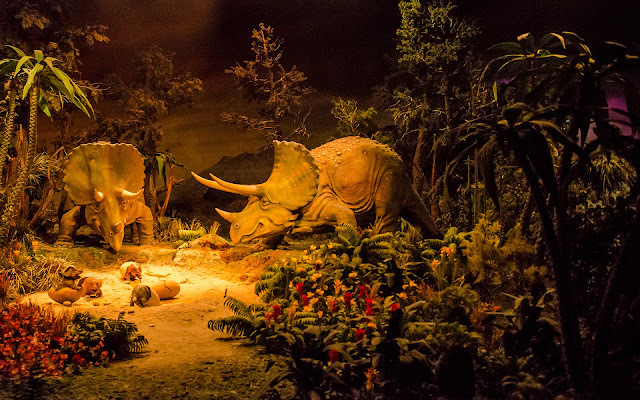 Two triceratops watch over their newly hatched children. The scene turns more dire, as drought sweeps across the land, rendering water scarce. 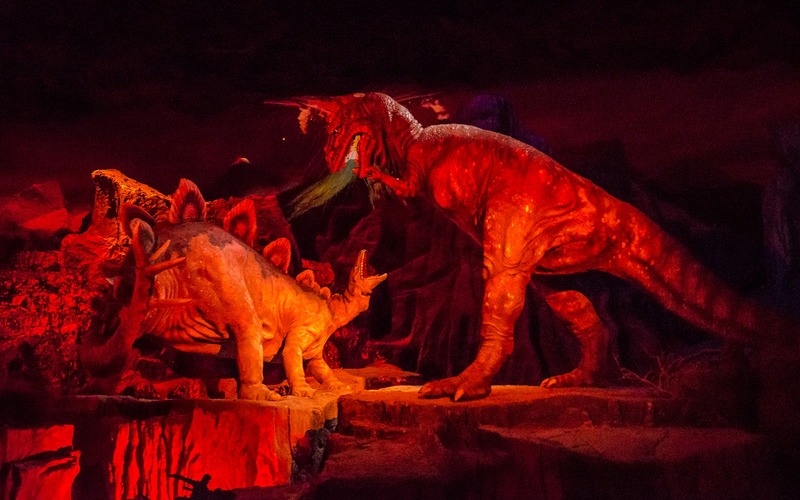 A Stegosaurus confronts a Tyrannosaurus Rex next to an erupting volcano in Primeval World's climax.